The VIPP Report: Super Bowl champs Philadelphia Eagles will not visit the White House on Tuesday | Welcome to "The VIPP Report"
The Philadelphia Eagles released a statement. It doesn’t recognize the cancellation of their Washington White House visit but it refers to those who have supported them and have celebrated their Super Bowl win. “Disinviting them from the White House only proves that our President is not a true patriot, but a fragile egomaniac obsessed with crowd size and afraid of the embarrassment of throwing a party to which no one wants to attend. Still awaiting a response from the Eagles franchise and the NFL. With less than a day before the NFL Super Bowl Champs travel to Washington to meet with President Donald Trump calls off the visit. It’s due to the dispute over NFL players and personnel and why they should stand instead of kneeling during the playing of the national anthem. Many of the players had decided not to attend prior to this release but a small group was going to Washington to represent the franchise. 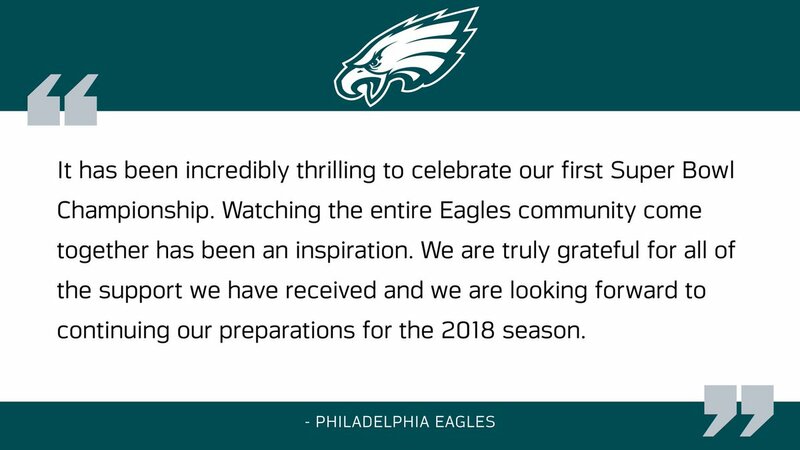 We have been awaiting a response from the Eagles and/or the NFL but at the time of the report they have not released a statement. If you have a story idea, send it to me at thevippreport at vippcommunications.com. You can follow us for real-time news on Twitter @thevippreport. This entry was posted in Business, Community Affairs, Education, Entertainment, National, Newsmakers, Sports and tagged Donald Trump, Eagles, national anthem, news, NFL, Philadelphia, President, Super Bowl, The VIPP Report, White House. Bookmark the permalink.